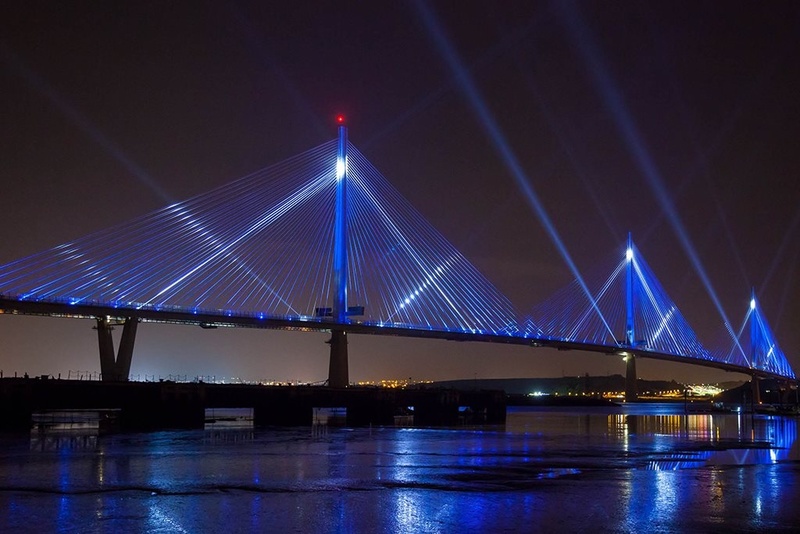 The Queensferry Crossing over the Firth of Forth involved more than 10,000 people working on the £1.35 billion project. Hydrosphere’s role in this project demonstrates how important industry specific expertise can be and what it means to be a trusted supplier of Vega LED navigation lights. It also shows how a specialist firm is often required to give expertise, before securing a contract. Hydrosphere’s first contact with the Queensferry Crossing project came in 2012. Public sector specialists Ramboll Consulting asked for help to design the specification on what type of navigational lights would be needed for the bridge. Discussions included how LED lights might be mounted, the intensity required, and the possibility of installing a monitoring system in the event of any kind of light or power failure. What’s important here is when niche industry leaders meet big project consultancy firms, there’s often a gap in knowledge to be filled about the latest technology applicable. Jeff Gibson, Hydrosphere’s Sales Director, was able to flesh out ideas with Ramboll Consulting; recommending the LED Vega VLB 36 and 44 lights for their high efficiency and standards of reliability. Explaining how range, performance and maintenance fits into the whole design specification, alongside the alarm monitoring system circuitry required to link back to a central command position helped the bid writers. The tender was awarded as part of a larger electrical package, to SES Engineering Services (SES). It is worth noting SES went on to win the prestigious Construction News Specialist Awards’ Project of the Year (subcontract over £6m) for its work on the Queensferry Project. Again, providing specialist advice resulted in Hydrosphere supplying Vega lights fitted with internal alarm boards which signal in the event of a light failure back to a central control position. Each light is powered by a local battery back-up power supply to maintain power to the lights in the event of a grid power failure. Hydrosphere is tremendously proud to have been part of such a significant, award winning project for Scotland. If you’d like to discuss your project requirements for quality marine navigation lights or navigation aids, please get in touch with sales@hypdrosphere.co.uk.